ISIL fighters appear to be shaving off their beards before fleeing to Turkey to escape Russian airstrikes. Hundreds of ISIL fighters are fleeing Syria for Turkey, as Russia's Defense Ministry previously said, and reports are popping up that they are leaving their beards behind. The photos released on social media show large numbers of cut-off beards lying on the ground, intermixed with razors. According to Russia's Defense Ministry, as many as 100 fighters are leaving Syria for Turkey every day. Al-Nusra Front fighters are said to have made their way into Turkey via the Reyhanli crossing while ISIL fighters flee north through Jarabulus. The removal of facial hair is forbidden by ISIL and al-Nusra Front's interpretation of Islam, and the extremist fighters have become associated with beards. 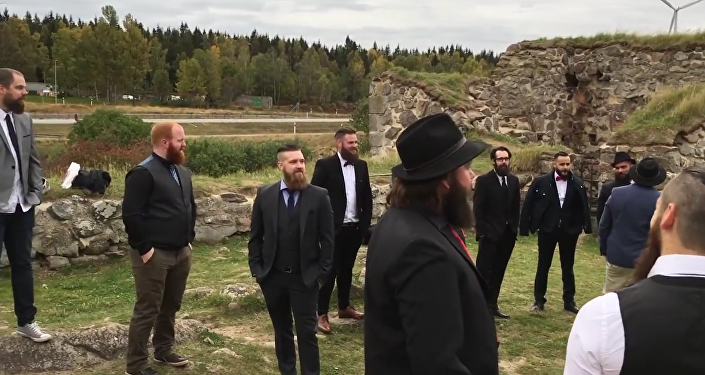 On Monday, a group of Swedish men from a beard club were almost arrested when they showed up for a group photoshoot with a black flag after someone called the police suspecting the bearded men were none other than ISIL fighters plotting a terrorist attack.